Seems like every business is on social media these days. Which is the whole reason you’ve established a social media presence as well, right? If you answered that with a quick ‘yes’ and nothing more, you’re not giving your social strategy enough thought. Granted, you definitely need to have what your competitors have in order to keep up in your industry. But business success isn’t about keeping up. It’s about finding better, faster, smarter ways to do what others do – so you can carve a niche for yourself and create a unique competitive advantage. You need your social media presence to be working for you. That could mean a multitude of different things to different companies and people. Do you want to further your brand awareness? Create a stronger dialogue with your customer? Promote helpful content and webinars to establish yourself as a thought leader within your industry? Social media can help you do all of that. But you have to build a strong enough social presence first. In this post, I’ll show you how leveraging social media automation can save you time to increase your visibility even if you have no social media presence. Ready to find out how to increase social media presence? When I tell people they need to spend more time building out their company’s social media channels, they look at me like I’m nuts. I get it. I used to make the same excuses. But that was before I created Bulkly. Imagine uploading all of your social updates at once and then setting them on autopilot vs. creating list after list of daily updates, then scheduling each one by hand. Bulkly is a social media automation tool that does just that, eliminating those daily social media to-dos that are taking up so much of your time. Already a Bulkly user? You rock! And social media automation isn’t just limited to scheduling posts. Depending on the social network it might make sense to automate some following and unfollowing of users or even automate reporting. There’s really no limit to the things you can automate if it makes sense. Best of all, it’s not complicated. And it costs a whole lot less time and money than hiring another employee to do the exact same things. By using Bulkly or another social media management tool to automate your daily social to-dos, you can stop making excuses and start spending the time needed to work on things that can help you build a better social media presence. Ready to learn what those things are? 1. Revisit your social media strategy. I can see the eye rolls already. But I’m serious. When was the last time you sat down and really gave thought to your “big picture” social strategy? Be honest. Probably a few months ago at least, right? Then maybe it’s time to review it to make sure that you’re doing the right things for the right reasons. My favorite way to conduct a thorough and productive strategy review? Work backwards by first finding my ‘why’. What’s the ‘why’ behind your social media strategy? Why are you trying to establish a social presence? And why do you want to improve your social media presence? Your ‘why’ is your end goal, your purpose, the main driver behind everything you do on social, from writing update copy to engaging with followers. Some businesses are trying to further brand awareness. Others are looking to learn more about their customers for market research. Still others are solely focused on driving traffic to their website. Only you know your answer. Once you’ve pinpointed your ‘why’ (hopefully you knew it right away), it’s time to walk through your campaigns, posting schedules, content shared, etc. to make sure they’re all working toward furthering that purpose. For example, let’s say your ‘why’ is to improve brand awareness. As you’re looking through your recent campaigns, you’re seeing that their execution has missed the mark a little. Most of the efforts supporting these campaigns have been heavily focused on driving traffic to your website. While more website traffic can definitely help further your brand image and persona, traffic should be secondary to your main goal, your ‘why’ = establishing brand awareness. Maybe there’s a reason your efforts have strayed from your originally planned direction. Maybe it’s time to revisit your ‘why’ itself. Maybe it needs to change based on changes to your business. Or maybe your team just needs you to point them back in the right direction. Either way, taking the time to work backward from your goals to your day-to-day execution gives you a better perspective on your overall social strategy so you can make necessary changes and avoid missing the mark before it’s too late. 2. Increase your level of engagement. People really underestimate the power of conversation. The things you say and how you say them help develop others’ impressions of who you are as a person. If you’re friendly, funny and helpful, people are probably going to associate your personality with those traits. Likewise, if you’re grumpy, rude or dismissive, people are probably going to assume that’s the way you are all the time – whether you’re just having a bad day or not. And what about when you witness a conversation where one person gets loud and aggressive… you don’t even have to be the other person getting yelled at to decide for yourself that the aggressor is someone you don’t want to get to know. It works the same way on social media. When you respond kindly to a fan’s comment or question, the fact that you care enough about their concerns to offer assistance helps them associate that level of consideration with your company. Additionally, because these comments are open for public view, other visitors will be able to read your conversation and associate those traits with your business as well. Because these days, people want to associate themselves with the persona of the brands they support. When you make your brand attractive in this way, people want to be included. And even if they don’t have the whole ‘brands with purpose’ purchasing mindset, everyone wants to buy from a company that offers great customer service. Now think about what kind of ripple effect responding in a negative way can have on your brand. Yeah, not going to shake that one off anytime soon. First impressions die hard. You don’t want to ruin not only everything you’ve built out on social, but also the way people view your business and brand. Finally, inaction, as in never responding to or engaging with your fans on social, can also cause damage. If you don’t engage at all, eventually your fans will get the message: You don’t care enough to respond. You’re not hearing what they say. And you definitely aren’t helping them find answers to their questions. They figure, if you don’t care, why should they? So they stop engaging and following and talking about your business on social. And you won’t want to be known as one on the companies with a bad social media presence. So you need to make time to develop guidelines for how to respond in a way that supports your social media strategy. And implement them. How to improve social media presence among your audience you might ask? Spend a few minutes at the beginning or end of the day monitoring comments. Which are asking for a response? Who said something nice that you can easily just ‘like’ and move along? Are there any major issues that need to be resolved? Because by not engaging, you’re either taking the risk of causing damage to your social presence, or you’re missing out on a golden opportunity to make it stronger. 3. Refresh your social media updates. Things change at an exponential rate on social media. Like I really had to remind you of that. I’m not just referring to algorithm alterations or new advertising formats. In this case, I’m talking about the copy text for your social media updates and what you’re sharing. It seems like there’s always a new or ‘better’ formula for getting your point across or choosing the right content to post. Trying to keep up with every new trend that pops up isn’t going to get you anywhere but frustrated. Additionally, what works for one person or business may not work for another. You need to focus on what works for you and do more of it. Tracking your social media posts can give you a good idea of what is or isn’t working. But don’t rest on your successes and post the same things in the same way, over and over. Like reviewing your social media strategy, you need to take the time to review if how you’re using your updates is helping you further grow your presence on social and contributing to your overall ‘why’. Original content. What original content are you sharing? Do these articles contribute to your overall why? External content. What external content are you sharing? Why did you choose to share articles from these sites specifically? Does the content you’re sharing reflect your business’s beliefs and ideals? Non-paid updates. How can you make your message more intriguing to a social follower? Can you condense your statements to say more in fewer words? Are any words confusing or potentially offensive? Copy text for paid updates. Are you using popular keywords? Would a different ad format be better suited for your specific goals? Are there too few? Too many? Are there better, more popular ones that can replace the ones you’ve been using? Similar to revisiting and adjusting your social media strategy, reviewing and refreshing what you’re sharing and how you’re sharing it helps ensure all of your efforts are contributing to your overarching ‘why’ and strengthening your brand’s social media presence. 4. Start a blog and/or create more original content. If you don’t you need to start one. Right now. 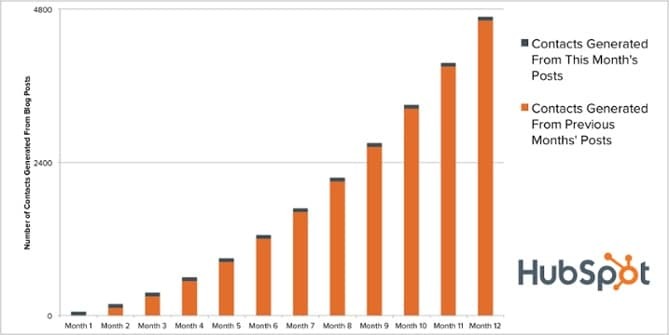 Just look at how Hubspot benefits from blogging. Drive traffic back to your website. Boost your website’s organic rankings from other sites linking to you (use these top tools to monitor your backlinks). Build rapport with potential and current customers. Develop a strong list of internal social media updates. As you know, when you’re sharing updates on your social media channels, your main focus shouldn’t be posting external content, e.g. posts that link back to other websites, articles, etc. It should be sharing internal content, to contribute to all the things we just listed above. A good rule of thumb is the “4-1-1 Principle”: For every four knowledge-based internal updates you share, you should share one external update and one “hard-promotion” update. So if you don’t have a blog, where are you going to find content for those four internal updates? Automating your social media updates leaves you with a few extra “free” hours where you would normally be sitting with a spreadsheet, manually scheduling post after post. Why not take those few hours and start putting together some content and start your own blog? You may not be a writer, and I get that. Ever consider hiring a freelancer? Then all you’ll need to do is review, edit and publish. I know you have time to do that. If writing for your blog and sharing internal updates is already woven into your overall social media strategy, that’s awesome. Do more of it. Refresh your old content. Update your links and images. The better content you feature, the stronger your internal social updates will be, which will only contribute positively to your overall social presence. 5. Refresh old images by creating new ones. You may have great, informative, well-written blog articles on your website, but think about the first thing someone sees when they go to your blog page or to one specific blog. What kind of first impression will a visitor get if it’s old, poor quality or overused? Think about it like this: If you go to read an article and it has one of those boring stock photos you’ve seen a million times, your expectations are immediately lowered. You figure a company that can’t even spend the time and money to find or create an original photo is probably low on standards elsewhere, right? While that’s not always the case, being hit with a bad image creates a subpar first impression. But what if you can’t afford to buy unique new images off Shutterstock or hire a graphic designer to refresh all your old ones? You learn to make your own social media images. It’s not as difficult as you think, especially when you use my personal favorite image creation tool, Canva. Once you open an account, you have a huge selection of template sizes, shapes, images, colors, backgrounds, fonts, etc. at your fingertips to help you create new and original images. Oh, almost forgot the best part. It’s FREE. There’s literally no learning curve. I created my first decent-looking image in less than 5 minutes. And if you’re really concerned about “not doing it right”, they offer tutorials to give you a hand in whatever area you need it. If you’re like me, then you never had the time to really go through and give a ton of thought to refreshing the images on your blog. You’re more focused on making sure the content’s up to par – then it’s slap-whatever-image-you-can-get-off-a-free-database-somewhere-and-hope-you-don’t-see-it-come-up-on-someone-else’s-site-anytime-soon. But if you want to help out your brand image, as well as your web and social presence, upgrading your blog images is something you need to think about – and act on. 6. Add a new social media channel to your arsenal. Well, why haven’t you done it yet? I know, I know, you haven’t had time. When you have a bunch of different social media channels under your name, it goes without saying that each one is another solid push toward elevating your social presence and furthering the ‘why’ behind your overall social strategy. But before you go adding a new one, you have to have a plan. 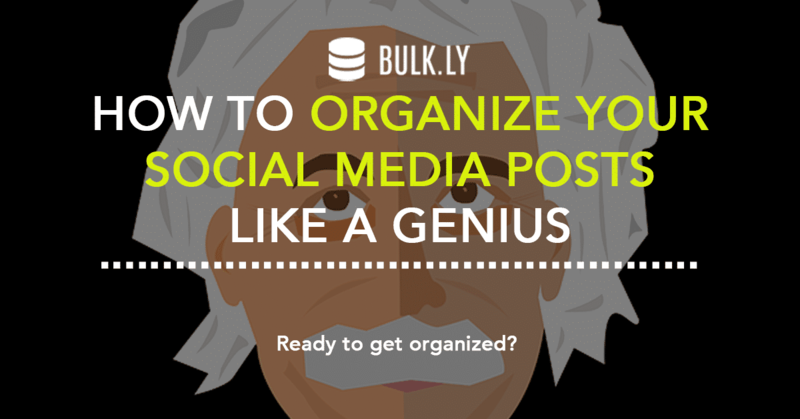 Get started by taking inventory of the social media accounts you currently have. Ask yourself why you have them. What are they doing to further your brand’s social presence? Once you pinpoint why you have the accounts you currently have, you need to consider opportunities for advancement. Is there something important about your brand or customer experience that a channel you don’t yet have could portray in a way that strengthens your brand image? After you figure out a purpose for your new social channel, it’s time to decide which one will be the best fit, map out the strategy behind getting it going and determine where it fits into your overall social media strategy. For example, say you’re in the restaurant business and your line of cafes are known for serving five star dishes made with fresh, organic ingredients. You already have an Instagram page filled with images of gorgeously plated menu items, dew-speckled fresh produce and your target customers dining festively. Why? Because you want to show future and potential customers examples of the food and atmosphere they can expect to find in your cafes. You’re getting followers to associate your brand with the best dining experience around. You’re looking to draw them in to be part of that experience. You feel like your Instagram account nails the visuals of a fine dining experience, but you have a ton of customers coming in every day asking how they can adopt an organic lifestyle. They want to know how to swap some of the foods they eat and use in everyday dishes to make meals like the ones you serve, meals that their families will enjoy. Feeling like this is a way you can make an impact on the well-being of your local community, you decide to share some of your techniques and easy recipes on social media. But with a focus on visuals alone, Instagram probably isn’t the best channel to support this initiative. So you decide to start a Facebook page. Before you open your account and start posting, you consider the ‘why’ behind this new account. Instead of showcasing the experience of dining at your café, your Facebook page will focus on adopting an organic lifestyle, every day. You’ll post recipes, share tips for incorporating organic snacks and meals into daily life and highlight the best local places to buy organic produce. The ‘why’ behind your Facebook account is to represent your café as more than just a place to eat, but as a restaurant with an active role within the community, supporting local businesses and helping families learn how to adopt a healthier lifestyle. Plan it out. Figure out where it fits. At the end of the day, a smart addition will be another strong push toward elevating your social presence. 7. Improve your social media education. Last but not least, having some extra time on your hands is always well spent on education. Especially in the digital world where things are changing at an exponential rate. What new features did Twitter add over the last few months? Has Facebook adopted new ad formats since you last checked? Are you using the highest rated, most up-to-date social media tools? Searching for and finding answers to questions like these will help you make sure you’re getting the most out of every minute you spend on social. When you’re learning to utilize tools and accounts in new and different ways, you’re exploring potential opportunities to reinforce your social media strategy and further your brand’s presence on social. Plus, social media education doesn’t have to be expensive. Watch a webinar. Listen to a Podcast. Read a how-to blog. Sites like Social Media Examiner, and blogs by HubSpot and Sprout Social are just a few examples of where you can go to find free articles, sign up for webinars, etc. online, for free. Most just take a few minutes to read or less than an hour to watch. So use your newfound time to learn something new. Something that can help you take your social media skills to a higher level and achieve higher brand goals. And elevate your social media presence, of course. Putting these seven tips into action can be the difference between just existing in the social sphere or really claiming a significant enough social media presence to create a positive business impact. But at the end of the day, executing everything above is only dependent upon the time you have available to spend on it. 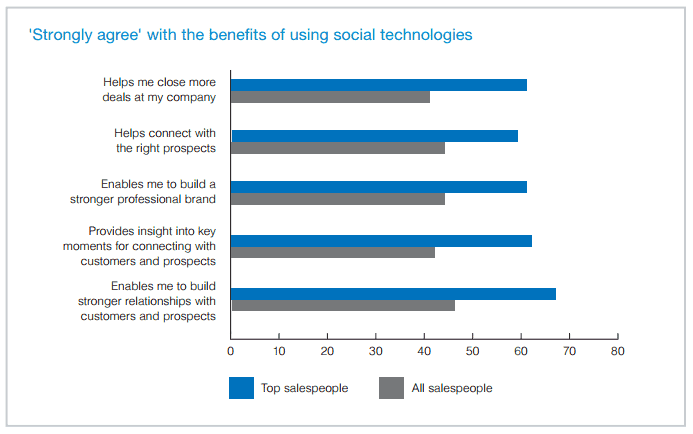 Which probably isn’t much if you haven’t tapped into the benefits of social media automation. Setting your daily posting tasks on autopilot affords you the time you need to really focus on the important things – revising your social media strategy, engaging with followers or even adding a new social media account. Make it happen with social media automation.